AMES, Iowa — Palmer amaranth is an invasive weed that is native to the southwestern United States. Over the last three years, however, the weed has made its way into Iowa and has been identified in at least nine counties, most recently in Madison, Clayton, Washington and Crawford Counties. Palmer amaranth is related to waterhemp, a common weed found across Iowa. In addition to traditional weedy traits, the characteristic that makes those two weeds unique, and hard to manage, is their ability to evolve resistance to herbicides, according to Bob Hartzler, professor of agronomy and extension weed specialist at Iowa State University. A video of Hartzler describing Palmer amaranth and how to identify the weed can be viewed at: https://vimeo.com/178360206. 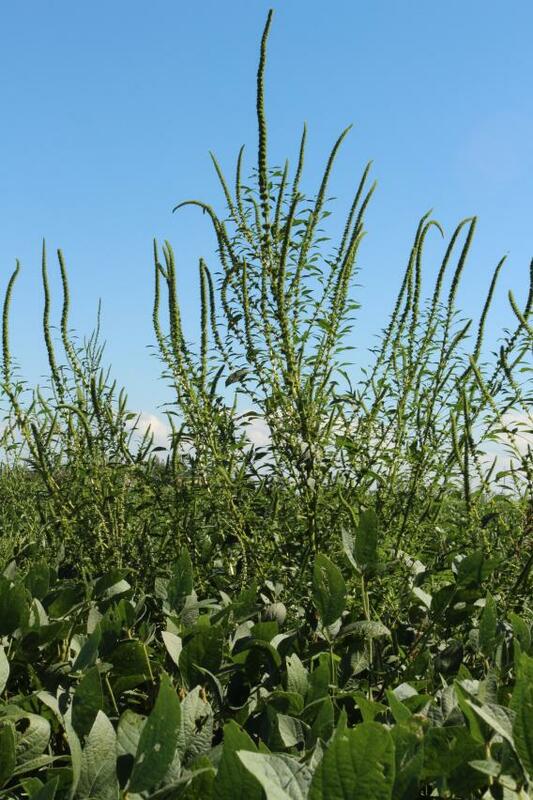 Palmer amaranth, an invasive weed identified in at least nine Iowa counties.